The following notes are extended quotations from the 1.5 hour YouTube video of the Jason Robert Brown Songwriting Masterclass, published on 22 Feb 2013 by the The Dramatists Guild of America. 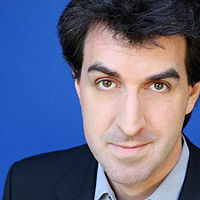 “Jason Robert Brown (born June 20, 1970) is an American musical theatre composer, lyricist, and playwright. Brown’s music sensibility fuses pop-rock stylings with theatrical lyrics. An accomplished pianist, Brown has often served as music director, conductor, orchestrator, and pianist for his own productions.” (Wikipedia entry) His most well known musical theatre works include ‘Songs for a New World’, ‘Parade’, ‘The Last Five Years’, and ‘The Bridges of Madison County’.